​What is the Kitchener Snack Bar?  The Kitchener Snack Bar is rotational take-out window concept coming soon to Oakland with two street-facing take-out windows that will function as a storefront for the different start-up foodmakers that work out of our kitchen. It will be located on-site at Kitchener Oakland. As a worker-owned cooperative, the people working at the Kitchener Snack Bar will be the very people who will make the food coming out of it. Our mission for the Kitchener Snack Bar is to give our resident foodmakers front-facing brick & mortar retail experience, and ability to test new menu items and get real world feedback, as well as giving our neighbors a chance to get to know and encourage their local start-up foodmakers.